I, Paul, write this greeting with my own hand, and this is a distinguishing mark in every letter; this is the way I write. He closed his Bible at the end of 2 Thessalonians 3:17 and pondered. Did Paul know that his letters, those that survived to be canonized anyway, would become binding instructions for all Christianity nearly two-thousand years into the future? Could his letters really be compared to the writing of the Prophets in the Old Testament, and especially the words of Jesus in the Gospels? He knew both the Jews and the Church believed Paul invented a new religion called Christianity that totally broke from everything that had been written in the first two-thirds of the Bible. If God wanted to write a “love letter” to humanity, why was it a letter that’s so hard to understand, and with so many contradictions? If God wrote a “love letter” like so many mushy, feely people at his church keep telling him, why were there so many different interpretations? 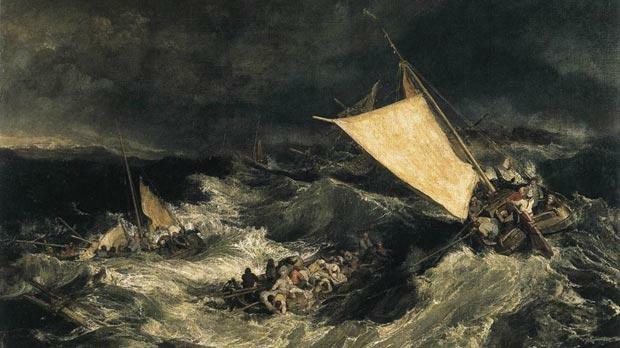 The Shipwreck, a painting by JMW Turner that forms part of the Tate collection in London. The ceiling for his craft was infinity, and its floor was an age. It provided a buffer, so that the passing of a season or a millennium was all the same. In this way, he could not only travel up and down the corridors of his own history, but diverge into many others. Once at his destination, he would descend upon that world like a single drop of rain. The sphere shimmered half in and half out of the timespace continuum as it alighted on the shore near Muxnar Reef in ancient Malta. The unmanned probes he had sent back searched across the local decades, and discovered the exact place, date, and time of the storm and the shipwreck. They were struggling in the surf now. It would all be so easy. Emily Becker followed the old Maltese man down a little-known side street into a shop. The walled city had existed since the Bronze Age, but the young archeology student was visiting because of her passion for the Apostle Paul. The Apostle’s history was tied to Malta, though not to this small city. Inside, the man excitedly displayed what looked like a mirror, except the glass was black instead of reflective. “So what’s this?” She was suddenly aware she was alone with a stranger and her tour guide didn’t know where she was. “You see Shaul. Look deep.” He used the Apostle’s Hebrew name. Emily drew closer to the mirror. She held up her hand, and it was as if the mirror reached out and grabbed her. Emily turned and she was standing near Muxnar Reef in a rainstorm. Strangely dressed men were struggling to make shore including a middle-aged Jewish man. I wrote this for the What Pegman Saw writing challenge. The idea is to use a Google street maps image and location as the inspiration for creating a piece of flash fiction no more than 150 words long. My word count is 147. 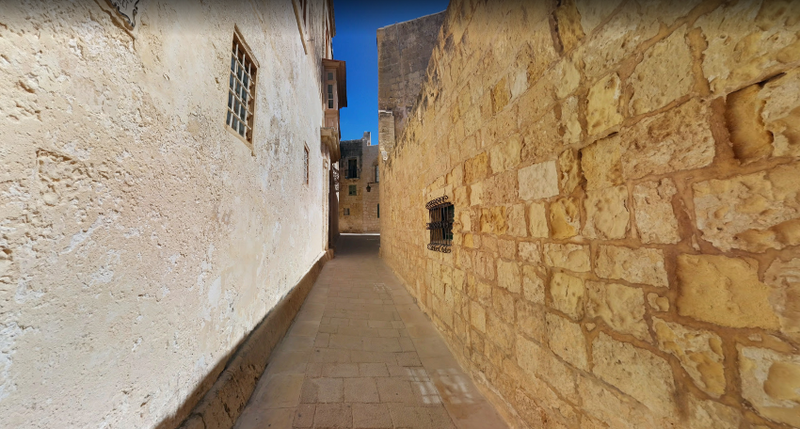 Today, the Pegman takes us to Mdina, Malta. Of course for perspective, I looked up the city’s history as well as the general background on Malta. If I had a bucket list of places I wanted to visit, Malta would be on it. Someone commented on this story that the concept of a dark mirror leading to other places and times might make an interesting series. As I was pondering the Pegman challenge this morning, I thought that it would be interesting if the magic of the dark mirror randomly appeared in different places across the world. I had wanted to write a longer tale, but 150 words only goes so far. Now we’ll never know what happens to Emily next. Oh, Malta has two official languages, one being Maltese, which is a semitic language, and the other being English, so Emily would be able to communicate with the shopkeeper. Talking to the Jewish apostle, his fellow captives, and ancient Roman soldiers might be another story, however. To read other tales based on the prompt, go to InLinkz.com. Ed Tillman noticed the diminutive, middle-eastern gentleman enter the sanctuary and take a seat in the back right before Pastor Taylor began his sermon. Ed was seated in the back as well, but not by design. He’d been waiting for his friend Phil to show up, but he hadn’t been coming to Ed’s church lately. Ed had expected to see Phil again at the end of what he called the Month of Elul. Ed had completed the thirty-day plan of prayer and repentance his friend had suggested. Elul, the Jewish High Holy Days, and the holiday of Sukkot were long gone, but so apparently was Phil. When Phil was absent, Ed usually sat with his friend Mark and his family, but Mark’s wife Evelyn had the flu and Mark stayed home to take care of her, leaving Ed to attend alone once again. As usual, Ed was taking notes on Pastor’s sermon, which this week was on how the grace of Jesus Christ had replaced the Law, but he kept sneaking peeks at the stranger. He didn’t often see people from the middle-east here. The man was dressed well, but not expensively. He had a full, rich beard streaked with gray, and was nearly bald. His traveling companions gently deposited the Pharisee at the edge of a sleeping mat in a small, rented room just off of Straight street in Damascus. 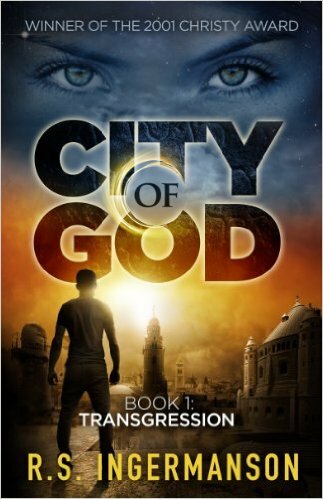 This wasn’t how they’d imagined entering the city, nor was Sha’ul the man with whom they had traveled from Jerusalem. Only hours ago, he was a fiery zealot (though not literally associated with the Zealots), breathing murderous threats against the disciples of a Rav named Yeshua, who had died and supposedly been resurrected, vowing their imprisonment or destruction for (supposedly) speaking against the Temple and the Torah. Sha’ul’s once penetrating gaze had dimmed, and wide-open but unseeing eyes had become dulled in the aftermath of the blazing light that bathed their party on the road approaching this city, and a voice only Sha’ul could clearly hear had spoken to him of things astounding and forbidden. Without turning toward the speaking man, Sha’ul faintly nodded his assent as if he could still see the unknown vision from the road. Simeon and his two cohorts quickly escaped the oppressive presence of the now sightless and helpless minister of justice against the religious sect they’d learned was called “The Way.” Their once proud mission was reduced to ashes. Transgression: A Time-Travel Suspense Novel is probably something I’d never have heard of if I hadn’t been researching how to design my first novel. However, Randy Ingermanson used his one-sentence summary of “Transgression” to illustrate the first of his ten steps in “snowflaking” a novel. Of all the ideas for a time travel story, I’d never heard of this one before. Fascinated, I downloaded it to my Kindle Fire. Theologically, a thousand things could go wrong from here, but I’m going to set that aside for the moment. According to his own bio. Ingermanson is a theoretical physicist, so he should be able to create realistic fake physics enough to convince us creating a “time machine” is plausible. That part works pretty well, at least enough to get the story rolling. The tale takes place both in modern and ancient Jerusalem. Israeli theoretical physicist Ari Kazan, along with his American colleague Damien West create, at least in possibly, a method of generating a wormhole in their lab that, over a weekend, could create a stable point-to-point link between the present and the past. In the meantime, Ari’s cousin Dov has introduced him to a young Jewish-American archeological student named Rivka Meyers as a blind date. The two don’t have much in common at first, but as they get to know each other, their religious differences nearly destroy their nascent relationship. This is the first time I’ve seen Messianic Judaism, both modern and ancient, depicted in a realistic and theologically consistent manner in fiction. In fact, with very small differences, Rivka’s conceptualization of the Messiah, Hashem, and the Bible and mine are really the same. I find that refreshing. Ari is an atheist but, as with most Jews, has a very strong bias against Christianity, and particularly the Apostle Paul who is often viewed as a traitor to the Torah, the Temple, and the Jewish people. 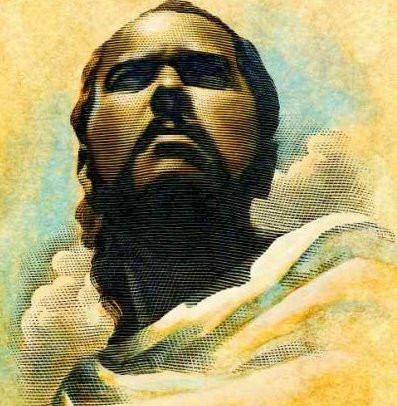 The wildcard in the deck is Dr. West, who has a powerful if unusual motivation for traveling back in time and murdering the Apostle Paul. West chooses a number of points where it would be possible for him to shoot and kill the Apostle as recorded in Acts 21, 22, and 23. To test the safety of traveling through the wormhole, West tricks Rivka into walking through, beginning her adventures into a world she has only experienced through ancient artifacts.